Old School Snacks, Inc. was formed in 1994 by Tom and Fran Chiappelli. The company initially made popcorn and expanded pellet snack products for the traditional snack market. The Old School Snacks, Inc. factory building was constructed in 1927 to serve as the third Shade Township High School. In 1937, a ten-room addition was built to expand the academic curriculum to include vocational shop, home economics and agriculture. In 1960, after the present high school was constructed, this building was re-purposed as the Cairnbrook Elementary School, later becoming the Cairnbrook Intermediate School. 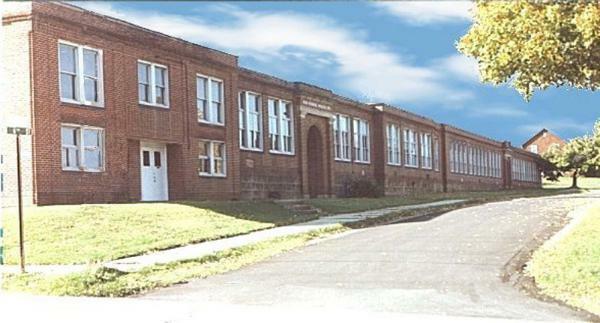 The school was closed in May 1988 due to declining enrollment and a mounting need for repairs. Tom and Fran Chiappelli bought and renovated the old school into a modern manufacturing facility in 1993, naming their new company to recognize the redesigned building's history. The fledgling company eventually found a niche in the natural food industry and concentrated on private label sales. In 1998, a recommendation from one of our private label customers led us to the acquisition of the assets of the Golden Flavor Brand of snack sticks. Purchasing the production line, processes, and brand name proved to be the stimulus that Old School Snacks, Inc. needed to propel the company to where it is today. Located in Cairnbrook, Pennsylvania, we currently make 14 different varieties of snack sticks, which are distributed throughout the United States and portions of Canada. The production rate of snack sticks is approximately 1,000 lbs. per hour, using only the highest quality, all-natural non-GMO ingredients.The manufacturing facility has undergone many changes over the years to better serve our customers.